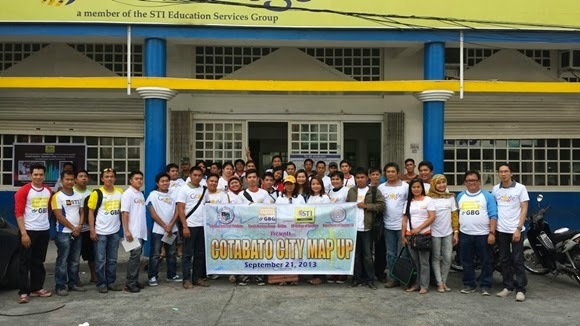 The First Cotabato City Map Up a huge success! The first-ever Cotabato City MapUp was finally held last Saturday, September 21, 2013 at the main Campus of STI College Cotabato City. 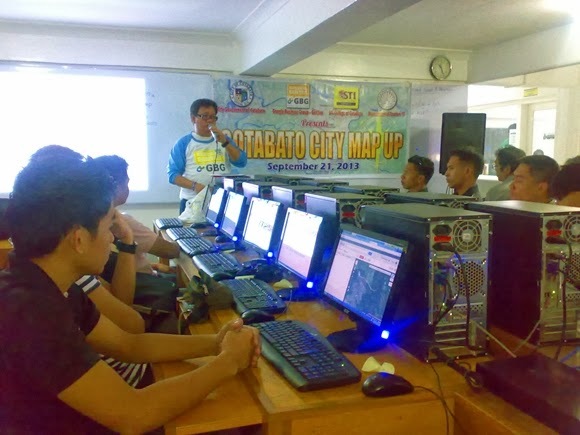 Participated by about 35 volunteer mappers, the First Cotabato City Map Up was one of the most successful Google mapping event held in the region. It was facilitated by members of the Google Business Group Gensan (GBG Gensan) who traveled early from General Santos City to Cotabato City just to impart to Cotabateños their knowledge in mapping. 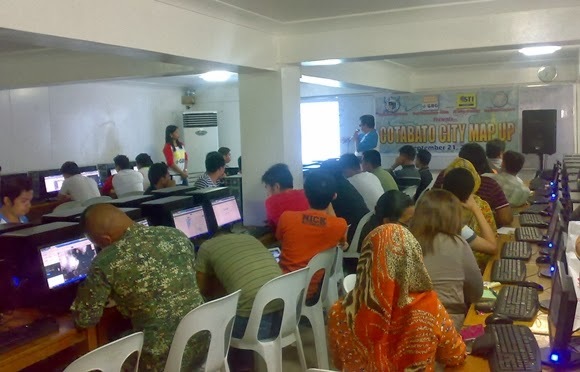 Participants were composed of heads and staffs of Cotabato City's planning and development, IT, public information, social welfare, health, tourism, and barangay affairs offices. There were also IT students, Cotabato-based bloggers and representatives from the police, Philippine Air Force and other military units. 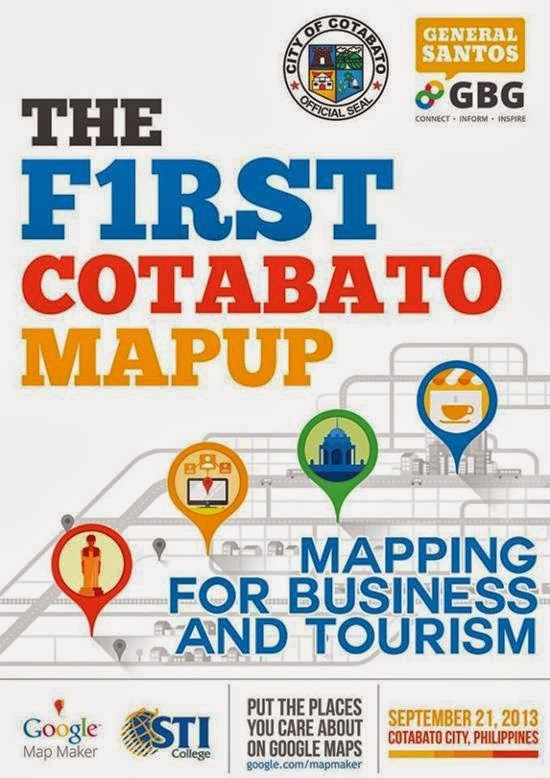 The First Cotabato City MapUp which is aimed at helping Cotabateños put on Google maps the city's businesses, tourism destinations and for disaster preparedness was made possible by the City Government of Cotabato, GBG- Gensan, STI College and Department of Tourism- Region 12.